This truck involved in the crash that injured Gov. Corzine Thursday is at the New Jersey State Police barracks in Buena. As a sedated Gov. Corzine recuperated from a second surgery yesterday, state police announced that they had found - but would not charge - the driver of a red Ford pickup truck whose actions apparently led to the accident that seriously injured the governor Thursday night. The driver, a 20-year-old Atlantic County casino employee whom police found Friday night, did not realize he had caused an accident, and drove away believing he had avoided one, officials said. Police would not release his name because he has not been charged. Corzine remained in critical but stable condition in intensive care last night at Camden's Cooper University Hospital after his second surgery since the accident. He has 11 broken ribs, a broken sternum, a broken collarbone, and a broken left leg, among other injuries. State Police Col. Joseph R. "Rick" Fuentes released a statement describing the accident in the northbound lanes of the Garden State Parkway in Galloway Township. 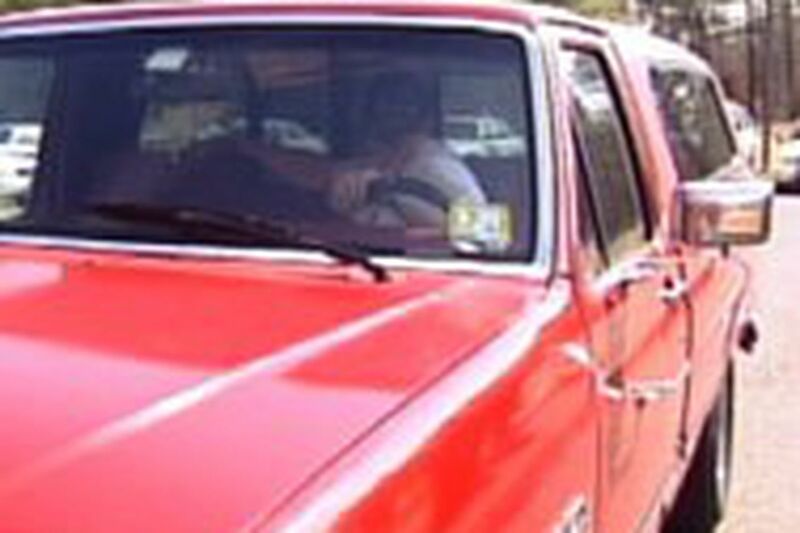 It began when the red pickup went onto the right shoulder, he said. The driver swerved to get back onto the pavement. A white Dodge truck behind the Ford swerved left to avoid a collision. The Dodge then hit the Chevrolet Suburban SUV that Corzine was riding in, sending it flying into the guardrail. The Ford's driver told police that the accident had occurred as the other two vehicles had flown past him, and that he had not realized he caused it. He then pulled back onto the parkway and left the area, believing he was not involved, he said. Police examined his truck yesterday. Corzine will remain on a ventilator at least until a third operation tomorrow at Cooper, his doctors said. The governor's vital signs were slowly improving, doctors said, but they gave no timeline for when he would be alert enough to return to work. Doctors said Corzine was not aware of his surroundings or able to speak. He is on narcotic pain medication and the sedative Ativan "to keep him comfortable while he's on the ventilator," Ross said. The governor has awakened and answered yes-or-no questions about pain. Physicians are concerned about complications, such as leg infections and pneumonia, but said Corzine had no sign of those. The accident came at a pivotal moment for Corzine. He was negotiating a state budget with lawmakers, and his administration is exploring the possibility of leasing or selling state assets to close the state budget gap. State Senate President Richard J. Codey, a former governor, is serving as acting governor. Codey, a Democrat like Corzine, has said he did not expect the accident to interrupt budget talks, because most major decisions come up in May. * Cooper incorrectly stated earlier that Corzine had six broken ribs on each side.